What does Oppo think of the '76 Chevette? One of these days, I’m going to actually buy one of these cars. 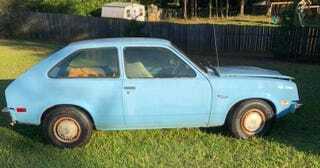 Today’s prospect is a ‘76 Chevette for $500. It just needs a starter solenoid. NPOCP?